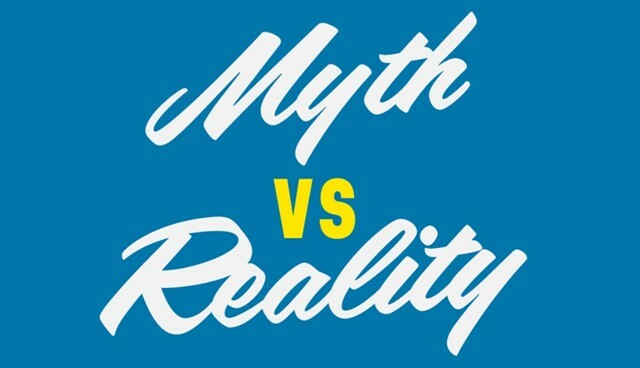 Real estate reality shows: myth or reality? What’s real what’s not! It’s quick and easy to get a home loan. The REALITY is that getting approved for a home loan takes time and effort. Even with a great mortgage loan office behind you, it takes time to gather up all the required paperwork to apply, to get through appraisals, underwriting, etc. Your home will sell after just one open house. The REALITY is that homes sell not because of an open house but because of a comprehensive marketing and pricing strategy exposing it to a broad cross-section of potential buyers. Can a home sell from one open house… of course that can happen. But should you hang your hopes on that happening? I wouldn’t recommend it. Even in a seller’s market with tight inventory as we’ve seen in Charlotte for several years now, the homes take and average of 36 days to sell and the cumulative days on market most recently have been 42 days. An open house is just one part of a broader marketing strategy for your home. When you fix/flip a home your only expenses are the cost of the home plus the cost of the repairs. The REALITY is that there are many other expenses associated with selling the home after repairs, including brokerage fees, sales taxes, recording fees, transfer fees, title insurance in some states, and more. The sum total of all these additional fees can easily “eat up” what you thought was profit. Do Home Buyers Really Buy After Looking At Just 3 Homes? In seller markets with tight inventory, it’s always possible that buyers select a home after looking at only a handful of houses. But the REALITY is that the average home buyer views 10 homes before making a final selection, according to the National Association of Realtors® 2017 Profile of Home Buyers and Sellers. That’s three times the number of homes buyers look at before buying. Want to know more about the REALITY of Charlotte real estate? Contact Nina Hollander and Carolinas Realty Partners, RE/MAX Executive, your Charlotte metro area residential real estate experts. We promise to deal in facts and not in myths. Real Estate Reality Shows.... Reality Or Myth? Have you wondered if those home reality shows are for real? Is it as easy and quick to buy and sell a home as they make it seem? The REALITY is that these shows perpetuate numerous myths about the real estate process that should scream BUYER/SELLER BEWARE! 3 big myths debunked.